House flies are a real nuisance in anybody’s home. They not only create a mess but also carry harmful bacteria which spreads diseases. 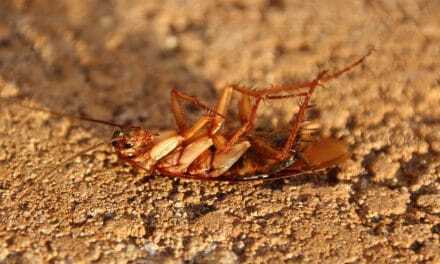 There are many sprays available in the market to trap flies, but unfortunately, all of them has chemicals. You never know if they can pose a health hazard too. But there are a couple of fly traps which you can make at home without shedding a considerable sum of money. Let’s learn how to make a fly trap. Use a scissor or a serrated knife to cut the soda bottle into two pieces from the point where the funnel portion starts. Do not allow children to do this activity since they could harm their arm in the process. Flip the top portion of the bottle upside down inside the lower part of the bottle. Use adhesive tape or stapler to join both pieces firmly. Now there are a couple of options to use as bait. The simplest one is to add a half cup of apple cider vinegar. You can even use white vinegar. House flies love the smell of vinegar. You can further top up with a few chunks of apples. Use can heat one-fourth cup of sugar and the same quantity of water in a saucepan. Heat it until sugar dissolves completely. Let the solution cool and then add a few slices of apple. Most of the time we can easily find leftover red wine at our home. You can use it as bait to attracts flies. Place the whole setup somewhere where you expect house flies. I prefer someplace which stays sunny most of the time. Sunlight will help fruits to rot inside the solution. Rotten fruits are more attractive to house flies. Within a couple of hours, a swarm of houseflies will go inside the bottle, but they won’t be smart enough to come out of the bottle. After a couple of days once you have enough dead flies then you can throw away bottle after wrapping up in a trash bin bag. If you notice live flies inside then pour warm water to kill them all. Cut brown bag (several grocery stores provide you with this while you shop) in into long strips with the help of a scissor. Mix sugar, honey and water in a saucepan nicely. Heat it until sugar dissolves completely. Dip all paper strips in the saucepan till they are saturated with the solution. Remove all strips one by one with the help of tong and spread them over a mesh. Remember the strips would be sticky so handle it carefully. Let the paper dry completely. Flypapers are ready. Now hang them someplace where you expect house flies. Within a couple of days, flies will flock to it. Throw it away after wrapping it in a plastic cover. You can take standard size tin can in which packaged food comes. Clean it with warm and let it dry. Now wrap the tin can complete with adhesive tape from outside. Then slowly remove the tape. By doing so, the gum will remain on the outer walls of the tin can. Else, you can also stick the duct tape with the sticky part outside. Place the UV flashlight source or torch inside the tin can. Make sure to have the light coming out of tin can. Place the tin can outside in the dark. House flies are attracted to UV light. Flies will stick to the tin can and will be trapped. Make sure to have a new pair of batteries for the torch to work throughout the night. After a couple of days, throw the tin can in the trash. Take a glass bowl and pour sufficient apple cider vinegar. 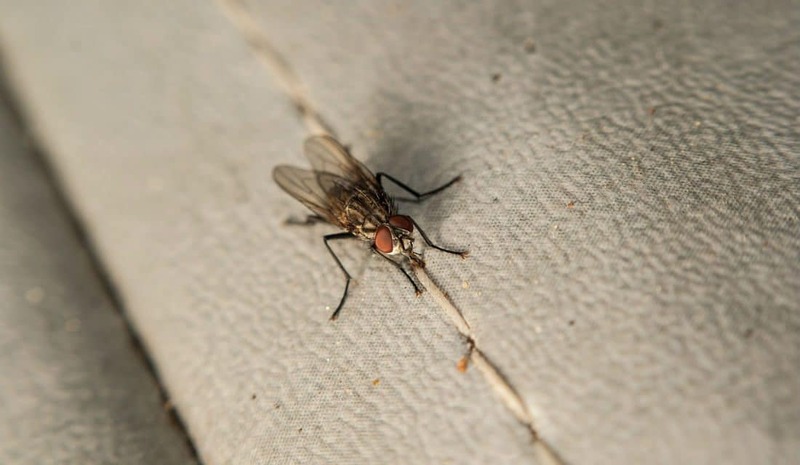 Add a few chunks of apple to make the bait even more attractive to house flies. Add a few drops of dish soap to break the surface tension. House flies will drown in the solution quickly. Cover the glass bowl with a plastic wrap. 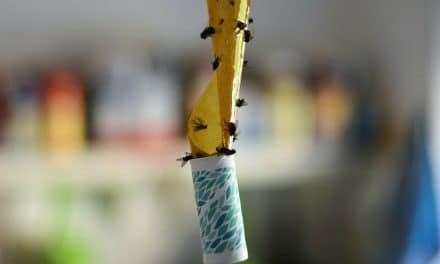 With the help of a toothpick, make a few holes sufficient enough for a house fly to pass through. Place the glass bowl to somewhere where you expect house flies. Flies will come inside and will drown. They won’t be smart enough to come out these tiny holes on their own. Vinegar evaporates with time. So, do not forget to top up as and when required. Dispose of the mixture carefully when you are done with killing all house flies.